Feedespy.com - Main Page | The easy way to read news! 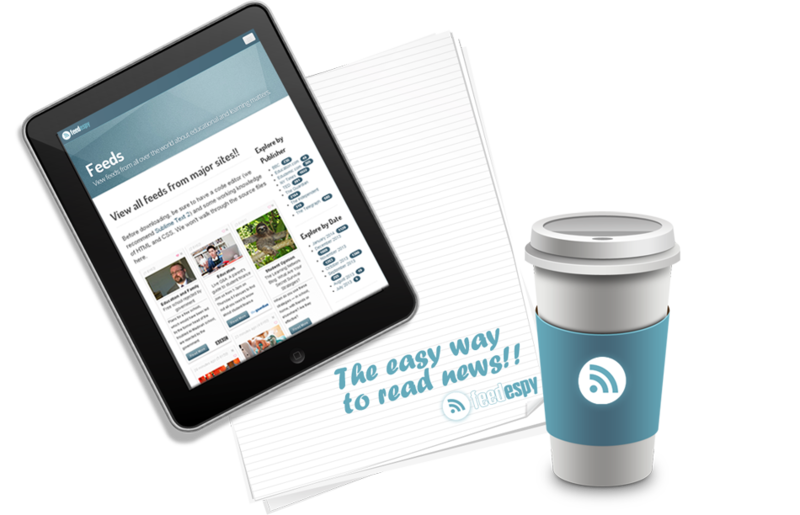 Reading news never been easier! Feedespy.com is the easiest coolest greatest way to read news! 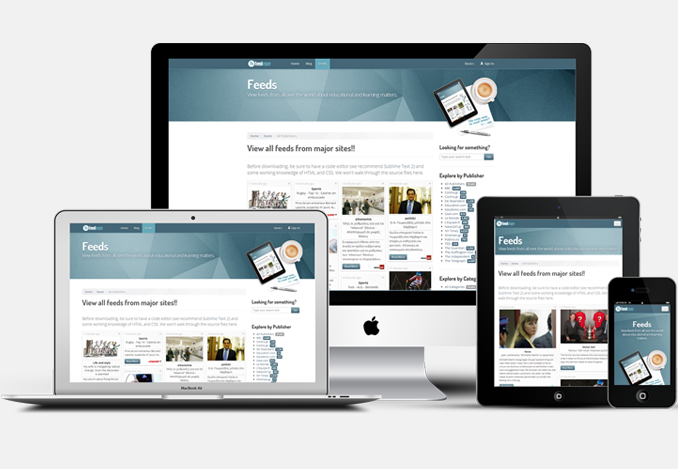 Feedespy is a tool for selecting and reading your everyday news! Read your favorite magazine, newspaper or news page from one page as soon as they post something new. 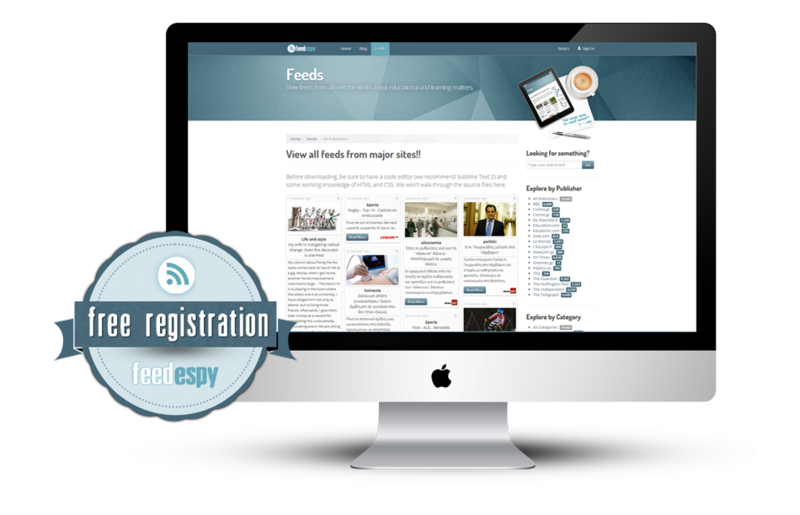 Register for free to access Feedespy website and read up-to-date news only from your favorite websites! The latest news the minute they are posted in one page! Select the websites you would like to receive news from! You can pin them, share them, choose your favorite, add more at any time of the day, and search all feeds! Login to your account to read old and fresh feeds! You can receive feeds for any category; sports, world news, finance, horoscopes, life & style, education, etc! Choose your way to Sign in! You can add as many websites as you like and read their news everyday at any time. You can, also, pin your favorite article to create your personal archive and share it with friends, family and colleagues. Register for free by using our registration form or by using your Facebook account! It takes less than a 1 minute to complete your registration! Select the websites you would like to receive news from. It can be of any category you like; world news, politics, finance, business, life and style, horoscopes, health, fashion, etc. You know when we are reading an interesting article online and we don't want to forget or we would like to return to it? Add it to your Favorites to reference at any time later! If you are reading something that will interest a friend or a colleague you can just share it! Send them an email or post it to Facebook, Twitter, Linkedin, Google+ and Pinterest! Where were all these feeds came from? See in real-time the origin of the sources linked to Feedespy.com.